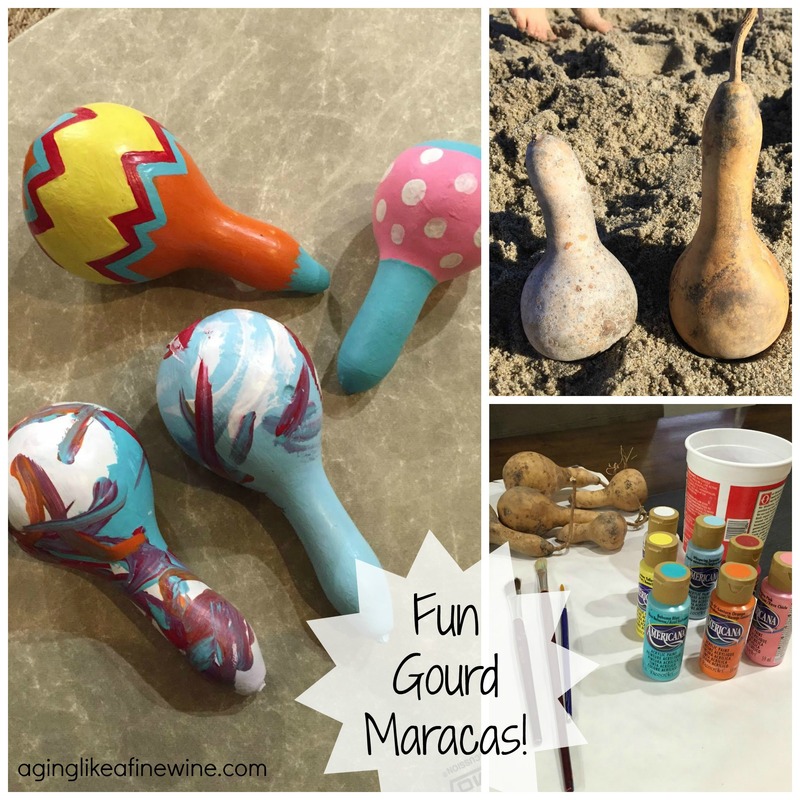 Decorated gourds make beautiful centerpieces, bird houses, baskets, candles and … maracas! When visiting our pumpkin patch this year we were inspired by the display of beautifully carved and painted gourds that have been crafted into instruments and other decorative pieces. The pumpkin patch had piles and piles of old dried out gourds of all shapes and sizes. It looked like a graveyard of gourds making for a cool looking Halloween display. The very small gourds were the perfect size for maracas so we bought a few to attempt making our own instruments. Cleaning, filling and painting the gourds turned out to be a really fun project. Sandpaper can be used to clean the gourds but when the workers at the pumpkin farm told us many gourd artisans take them to the beach to clean with beach sand we thought that sounded like a lot more fun. The whole time we were rubbing and scrubbing the gourds, Noah kept telling me how much fun he was having. I love age 4! It still doesn’t take much to make them happy! We worked hard at cleaning the gourds and found that rubbing the sand onto the gourd with a kitchen scrub sponge helps to speed up the process a bit. There is no need to use water, simply scrub with damp sand and wipe off excess sand with a dry towel. dried membrane. (If your gourds are very small you may need to start with a smaller bit and then graduate up to the 1/2″ bit so you do not break the gourd). Gourds can be filled with rice, corn, beans or pebbles depending on the sound you desire. We used pebbles in two, corn in one, and rice in our smallest gourd so we could experiment with different sounds. The amount of filler used will also make a difference in pitch and we found we liked fewer pebbles which made for a higher and louder pitch. After adding pebbles, we cut a round piece of heavy paper just large enough to cover the hole and adhered to the gourd using white glue. When the glue dried it was time to paint. We used acrylic craft paints and allowed gourds to dry over night, then sealed with one coat of matte Mod Podge. 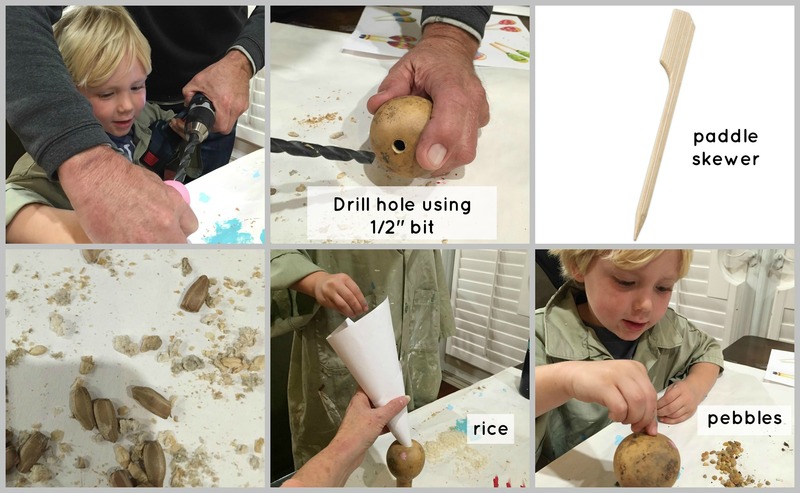 The most difficult part was scraping the membrane out of the inside of the gourd but all in all it was a simple and fun craft that gives you something your child can keep for years to come. Note: When buying gourds make sure they are well dried and cured. If they are firm and you can hear the seeds when shaken they should be dry enough to use for your project. 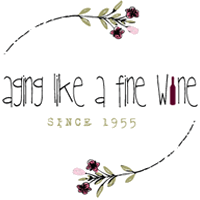 This post was shared on Grandma’s Briefs Grand Social! What a fun idea! And what super photos. I never realized it was so simple to make maracas. I must do this with my three grandsons. They will love it! Thank you so much for sharing in the GRAND Social! Happy Thanksgiving to you and yours! Hi Lisa, thank you for the comment. We had lots of fun making our maracas and I’m sure your grandsons will too! I so enjoy reading and posting on your blog, thank you for hosting and opening it up for us to share.